Grant Bennet calls his full-time home in McKinley Beach in Kelowna, B.C., a “vacation location.” Last year the banker decided he’d had enough of big-city living. In looking to relocate from Vancouver to the picturesque Okanagan, Bennet wanted a home that would allow him to make each day an adventure. For Bennet, moving to McKinley Beach, with the stunning backdrop of Lake Okanagan, was the start of the life he always dreamed of – without having to give up convenience or culture. “I wanted to get away from the city but still wanted to live in a place big enough that I could access all the amenities, and Kelowna was that for me,” he says. This area offers not just a place to live but also a lifestyle. McKinley Beach is bringing it to even more residents. McKinley Beach Hillside is made up of 255 single-family lots spread over 100 acres, making it the largest waterfront development in Kelowna. 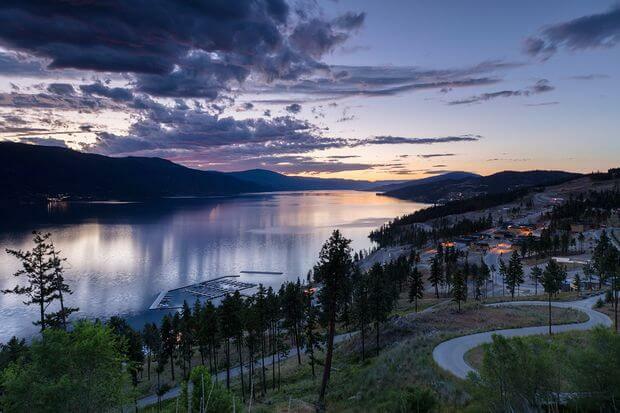 The location and design of the homes work in conjunction to ensure every home has a view of Lake Okanagan, explains Sandra Matlock, sales manager for McKinley Beach. “The topography of the hillside is a big part of the appeal,” she says. “We wanted to design homes that complement the unique location, with low or flat-pitched roofs and an abundance of . . . READ THE FULL ARTICLE.